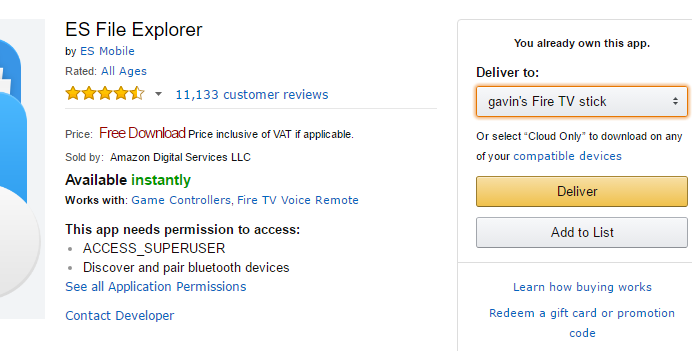 Follow these in instructions to install Kodi on an Amazon Fire stick. This guide if for Kodi v16.1. For the LATEST installation instructions for Kodi 17.1 Krypton, go here. Now install ES File Explorer. 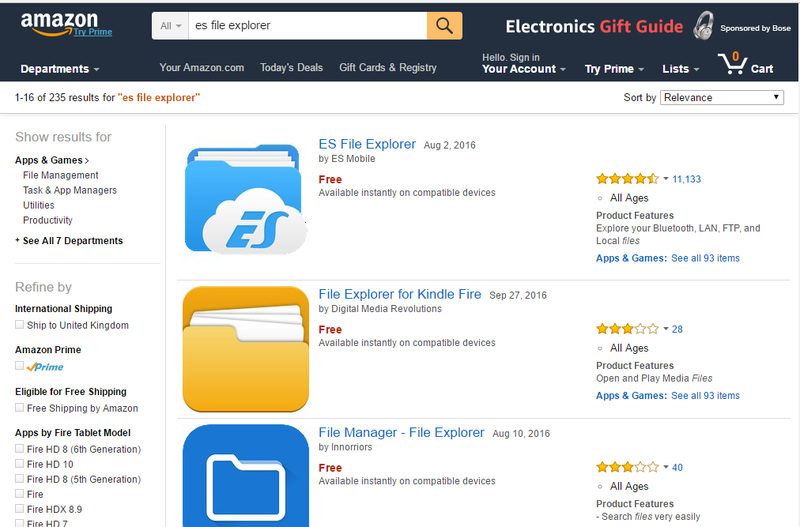 Search ES File Explorer in the search bar. Go to Deliver To: and select the device where you wish to install. Then select ‘Add‘ to save.This will add a bookmark to the menu on the left off the screen. Scroll down and select ‘Kodi161‘. It should then download and go though the install process. To install The Platinum Wizard to add the Platinum build to Kodi.